A select development of only three, magnificent detached houses, offering a superb position within this sought after village to the north of Harrogate. The properties offer extremely spacious accommodation with far reaching views over open countryside. Each house has been individually designed, with today’s lifestyle in mind, having fantastic open plan living family kitchens, separate utility rooms, large bedrooms, most being en-suite, great loft rooms and large gardens. 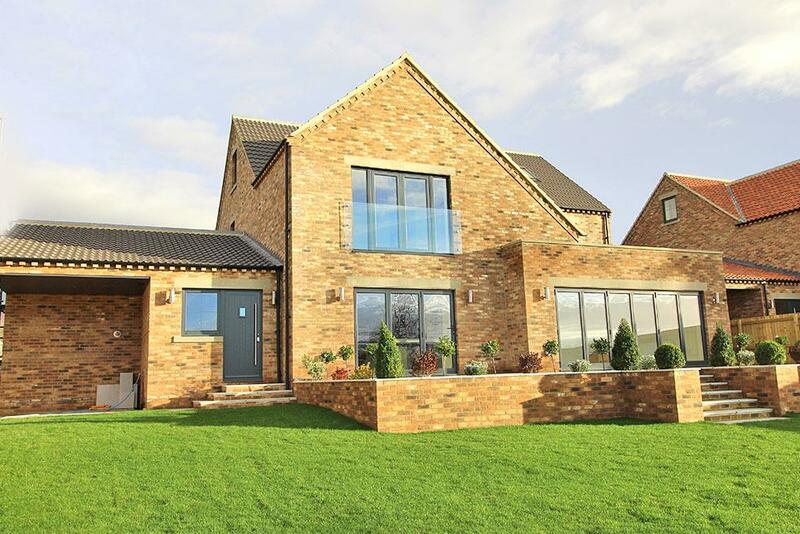 Built by a renowned local builder, with a great eye for detail and design, the properties offer a unique site layout with great privacy as well as state of the art kitchens and bathrooms, aluminium windows and bi-fold doors. A long driveway with electric security gate leads to a large forecourt drive and lawned gardens. A side access leads to the rear where there is a fabulous patio with planted borders and steps to large lawned gardens with boundary fencing, flowering borders and hedging. The rear gardens are adjacent to open countryside. Leaving Harrogate on the Ripon Road pass through Killinghall and at the first Ripley Roundabout take the last exit signposted to Knaresborough (B6165). Turn left into New Road, where the properties are situated on the left hand side.